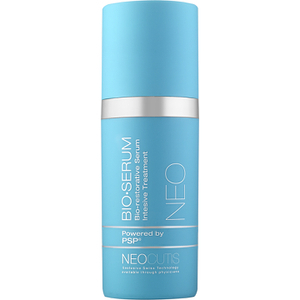 NeoCutis Bio-Restorative Skin Cream with PSP reduces the pent up stress in your skin that causes fine lines and wrinkles. 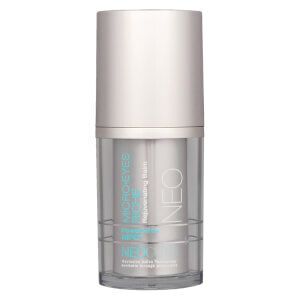 It saturates the skin with repairing Human Growth Factors combined with protective antioxidants and healing hydrators. Ideal for those with normal to dry skin who want smooth, firm, hydrated and calm skin. Use once or twice daily, after cleansing, over the entire face and neck. Processed Skin Proteins reduce fine lines and wrinkles and soothe the skin. Wheat Germ Oil nourishes and hydrates. Vitamin E fights free-radical damage. Water (Aqua), Octyldodecanol, Glyceryl Stearate, Decyl Oleate, Glycerin, Propylene Glycol, Wheat Germ Oil (Triticum Vulgare), Stearic Acid, Cetyl Alcohol, Ceteareth-20, Myreth-3 Myristate, Ceteareth-12, Cetearyl Alcohol, Cetyl Palmitate, Tocopheryl Acetate, Dimethicone, Borage Seed Oil (Borago Officinalis), Carbomer, Triethanolamine, Methylparaben, Propylparaben, Processed Skin Proteins (PSP), Glycosphingolipids, Phenoxyethanol, Disodium EDTA, BHT, Ethylparaben, Butylparaben, Methylisothiazolinone, Methylchloroisothiazolinone. Ordered this product 1.7 oz and received .5 oz. After several attempts to resolve with Skincare RX through phone and live chats, no resolution. I have now paid double for a quarter of the product. Complete scam! Fine lines are softer and my face feels well moisturized. I admit it-- I scoffed at the price. How could this be worth that much money?!? But after using it for several weeks, I get it. It has truly changed the nature of my skin. 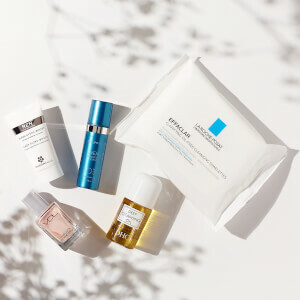 My sensitive skin is radiant, youthful, and comfortable. I'm hooked! 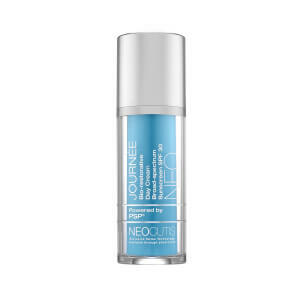 My rosacea-prone, sensitive, combination skin loves this moisturizer! It has no irritating ingredients like fragrance, and boy does it hydrate! I have gotten compliment after compliment about how young my skin looks since I started using this. I never, in a million years, thought I'd spend this much on a moisturizer, but the difference between it and the cheaper stuff is so apparent-- I dare say it's worth it! This product seems to have good science behind it and I've used it for years. It was recommended to me by a plastic surgeon. I really like the way it treats my facial skin. I've been using product for a while and I like the way it makes the look and feel, and I don't get greasy mid day, my makeup stays nice all day. I don't use at night. I love this. Cant wait to try the eye cream. I've been using this for years. Plumps up the skin, decreasing lines above and around the mouth. I've been using this for a while. Great product. I do use it at night. I use other products during the day.